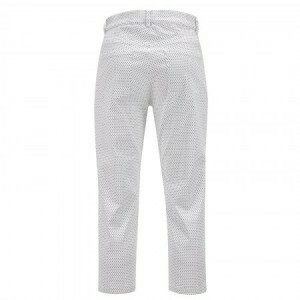 Cotton Blend Ladies' Golf Capri trousers with stylish dot pattern. The cotton capri trousers feature a lightweight stretch that enables a snug fit. 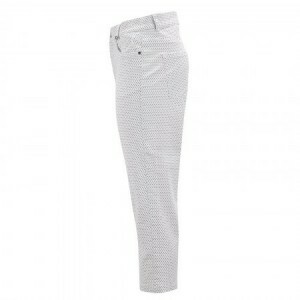 The trousers feel comfortable on the skin and catch the eye on the fairway with a modern pattern. 5-pocket style with rivets. Equipped with Golfino crystal ball marker. This high quality golf wear is particularly suited in combination with a sporty outfit.